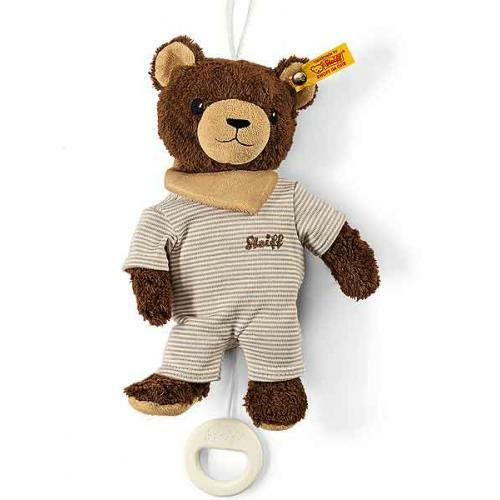 Steiff Basti Bear Music Box, made of beautiful soft brown and beige organic cotton for a baby's delicate skin. 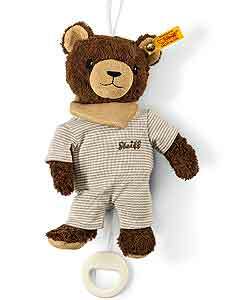 This addorable Basti Bear has a removable pull cord music box, playing a German melody. He has embroidered safety eyes and is machine washable. The textiles are tested for no harmful chemicals and Steiff have listed the size as 20cm.